It’s been a busy and frozen January and, not having the time or will to be outside for more than a few minutes to explore Philly with my camera, I’m low on new photo stock. 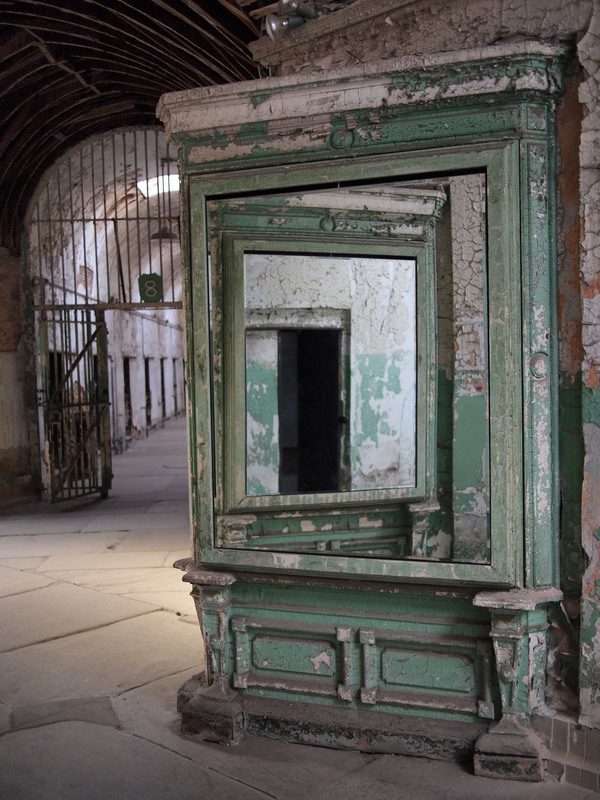 With that in mind, please enjoy some archived photos from my days as a tour guide at the very photogenic Eastern State Penitentiary. First up, the surveillance mirrors installed to monitor blind corners developed from the second wave of construction – cell blocks 8 & 9, 27 November 2011. 27 Jan	This entry was published on January 27, 2014 at 7:09 am. It’s filed under Architecture, Fairmount/Art Museum, Historic Preservation and tagged Eastern State Penitentiary. Bookmark the permalink. Follow any comments here with the RSS feed for this post.